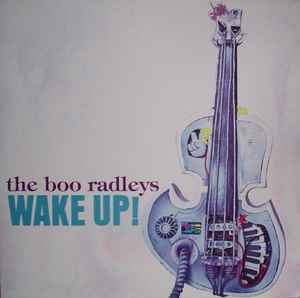 The Boo Radleys ‎– Wake Up! When I read some scornful reviews of Wake Up! I feel perplexed, while it's true that Giant Steps and C'mon Kids are much stronger albums, so many acclaimed and lauded bands, take, for example, Oasis or Coldplay, neither of them could ever rise aesthetically even as high as Wake Up!. Richly arranged, rhythm changing songs, sorrowful vocals have an ostensible nostalgic feeling about them and are full of precise and delicate observations: "It's easy to hide behind a smile, behind an ugly grace. It's easy to talk behind the back, it's harder to the face" or "You'll never touch the magic if you don't reach far enough". Loneliness and small town boredom: "Bills and heartburn, pills and soap, and flicking through the books you've read before", - it's like being stuck on amber and there's no light ahead: "Where are you going with your suit of armour on and your back turned to the sun", - and there's no medication: "What is this poison that you carry like a curse? I'm your lover not your nurse". The Boo Radleys diagnose, they don't cure.